I am a qualified supervisor, with a Diploma in supervision. I offer supervision on a one:one and group basis from Cranbrook or Tunbridge Wells, working within the BACP and ITA ethical frameworks. I currently offer supervision to counsellors, senior management and volunteer key workers in a supervisory capacity. I offer individual supervision to Psychotherapists and Counsellors. 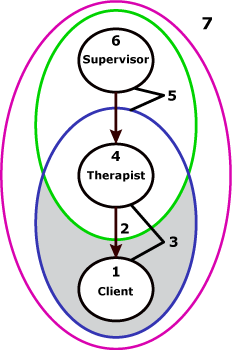 My model of supervision is Integrative and applicable to many different kinds of Counselling and Psychotherapy. I practice several different models and am interested in the process of integration across models, as well as practising a ‘pure’ form.